Sales of petrol and diesel cars in Germany could be banned by 2030, under proposals approved in the Bundesrat (Federal Council) this month. Germany’s Federal Council wants all new cars to be electric by 2030. The plenary session was held to discuss the European Commission’s strategy to decarbonise the transport sector by 2050, and the move to carbon-free global mobility from that date forward. Although it said some sectors won’t be able to meet the 2050 deadline – industry and agriculture for example – the Bundesrat’s response argued that targets could be adjusted, particularly in line with the 1.5°C global warming limits agreed during the COP21 conference in Paris last autumn. 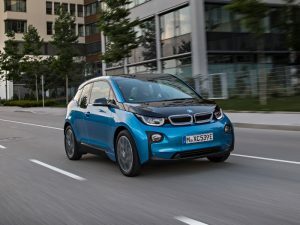 With this in mind, the proposal suggests tax-incentivising electric passenger vehicles, with a view to improving air quality, reducing carbon emissions and cutting noise levels, as well as creating jobs in the low carbon vehicle industry across Europe. Reaching this point will also involve promoting cycling, car and bike sharing and avoiding the promotion of biofuels from 2020. Germany is the third European country to commit to 100% electric vehicles within the next 20 years. The Netherlands is aiming for a 2025 cut-off date for petrol and diesel, with the Dutch Labour party saying exhaust fumes are “the new cigarette” and Norway, already the world’s leading market per capita for plug-ins, is aiming for the same deadline.